1963 Alfa Romeo Giulia SS Owner's Manual. 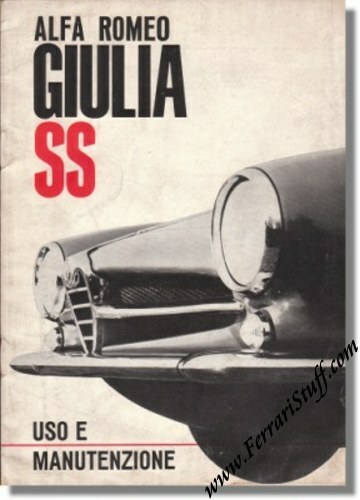 Vintage March 1963 owners manual for the Alfa Romeo Giulia SS. It measures some 6 x 8 inches or 15 x 20 cm. Print reference: N. 884 3/63 (3000), printed by Arti Grafiche Crespi & C., Milano, Italy.